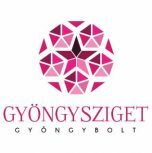 Gyöngy nagykereskedés online: Cseh, Miyuki és Swarovski gyöngyök - Nagyker Budapest - Gyongysziget.hu webshop - Your quality bead resource! Welcome to Gyöngysziget Wholesale Beads! Here you can buy our regular products in larger volumes (and packages) at discounted prices. These products are available for all our customers. We cannot provide any further discounts (including frequent buyer discounts etc.) and free shipping is not applicable to these orders either. These products can only be ordered online in our webshop and are not available in our store. If you wish to collect your order in our shop in person please submit an order beforehands - marking "Collection in Person" at the "Shipping Method" - and wait for our confirmation e-mail in which we inform you that your order can be collected. Payment is only possible with credit card or cash in case you wish to collect your order in our shop. In case of Parcel Servioce Delivery wire transfer and credit card pre-payment are the accepted payment methods. The only shipping method available for these products is DPD Parcel Service Delivery. No postal delivery or payment-upon-delivery is available. Further discounts are available for most products in case you are a retailer / Shop owner (hobby-craft, bead, beading supply etc.) with a functioning online or brick-and-mortar shop. 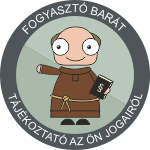 If you wish to register as a retailer / shop owner please contact us at info@gyongysziget.hu . Content including but not limited to pictures, images, designs, logos etc. are copyright protected!